I’m looking forward to finishing it up, but I think it’s going to have to wait until the end of the semester: something about the potential finished-ness of it once I sew in the long sashing strips is giving me pause. The new one in the dark blues is the cities print from 1001 Peeps; the yellow dotty ones are Ta Dot by Michael Miller, which I’m fond of. 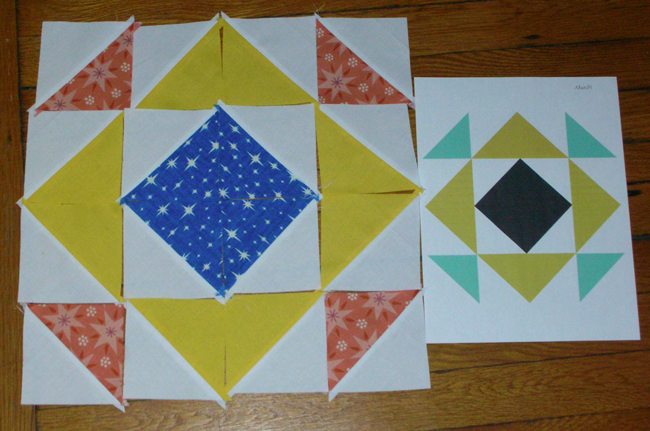 Here the light blue has benefited from the addition of some Ta Dots as well. 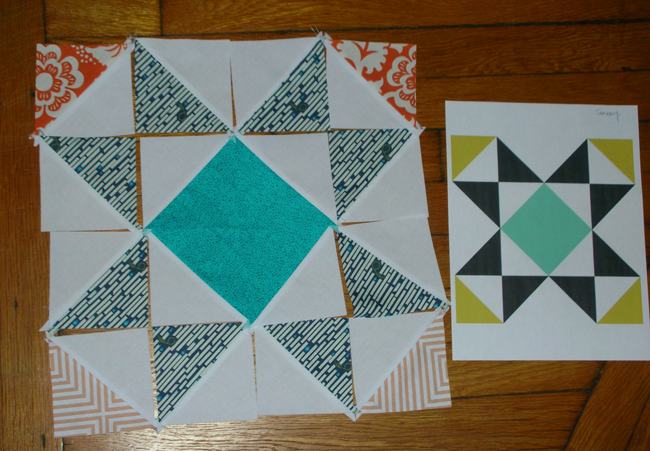 This is the March block, and I think I’m pretty okay with how it looks. This is the January block. 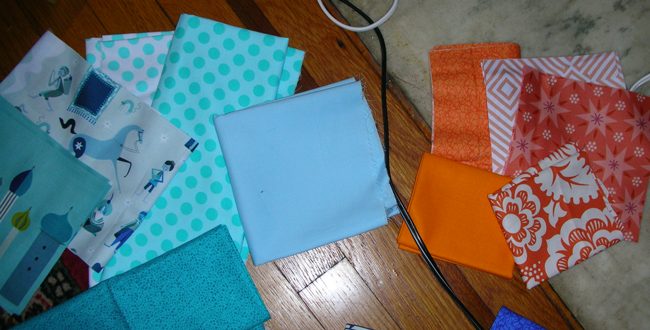 And for this one, I could use some advice: which orange? 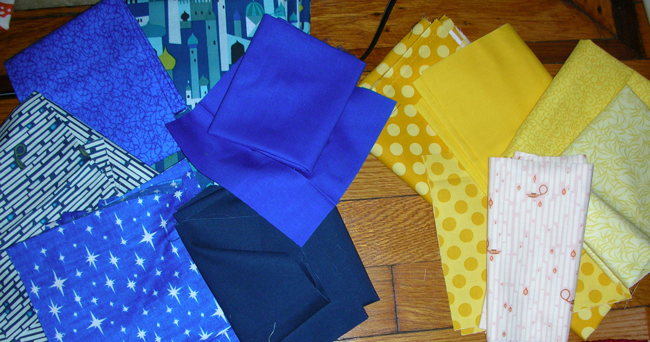 Or should I pick something else entirely from the fabrics I showed above? I’d love a second (or third, or so on!) opinion, because I’m really not so sure about this one as it sits now. I like the florals on the top corners. I think they give more visual punch to the block. Love the mix tape top! Can’t wait to see it finished. I like the orange floral, but I worry that it overwhelms the block: I sort of like having the blue be the part your eye gravitates toward.